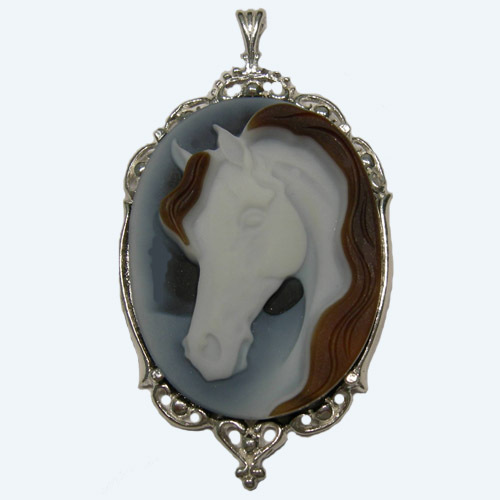 Desc: Sterling Silver large banded Agate horsehead cameo pendant. The banded Agate is three layer, with three colors. The mane and forlock of the horse is brown. The mounting is Sterling Silver. We can mount this cameo in gold or silver mountings of your choice, elaborate or simple (Contact us for details).